wow what a great price plus I have coupon to. 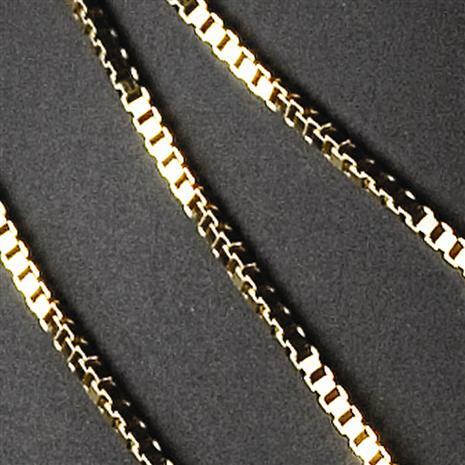 People everywhere have succumbed to the fusion of sophistication and classic elegance that is the gold Baby Box Chain. The glint of luxurious yellow gold captures the ideal contemporary look and combined with this 18” box chain necklace, it takes that look to a whole new level! Perfect on its own or personalize it with a one of our many pendants.